Are you an RV dealer or do you provide services for the RV community such as rentals, repairs, parts & accessories, storage and relocation? 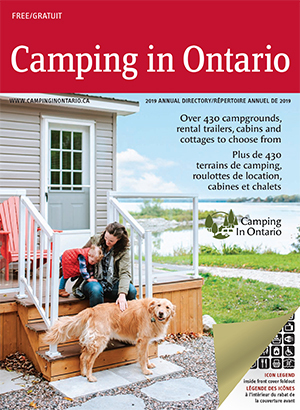 Consider advertising in the 2020 edition of Camping in Ontario. Please contact the office for more information at 877-672-2226. Update is the official newsletter of Camping In Ontario. Published quarterly, this newsletter covers the topics that affect the campground industry. Delivered electronically to government representatives, associate members, campground members, and affiliated tourism organizations, it is read by more than 700 campgrounds and suppliers. Each issue zeros in on issues that have an impact on the campground owner and the industry, and are relevant to the time of year. Articles are contributed by staff, campground owners, supplier members and outside experts. All advertising material must be received in-house no later than the last day of the month preceding publication. The publication dates are April 15, June 15, September 15 and December 15. To book your advertising space, please contact the office at 877-672-2226 or download the form from the link on the bottom and fax to our office at 877-905-2714. The Buyer's Guide is the "yellow pages" of the campground industry. It is the primary resource used by campgrounds when they are making their campground purchases. A complimentary listing is included for all Official Suppliers. The format allows for full colour, full page ads. A listing in several categories and an ad will enhance your listing and help you get noticed. Please download the advertising order form should you wish to augment the complimentary listing. All listings must be reviewed/updated by January 31, 2019. All ads are due by February 22, 2019. Click here for the 2019 Buyer's Guide Advertising Order.